Rainstorm is a specialist dust control company which offers a suite of products and specialist services to Mines, Civil Contractors and Local Governments. Since its inception in Australia in the early 90’s Rainstorm have been focussed on the dust control, soil stabilisation and rehabilitation industries. As the company has grown over time additional solutions have been developed by Rainstorm pertaining to dust management. These include automated rail car veneering, ore conditioning products along with dry fogging systems for crushers and ship-loaders. With the development of our own in-house engineering and construction capabilities Rainstorm is now creating site-specific application units, including full automation and installation along with the attendant contractor services. With experienced corporate staff and an industry-skilled team of operators, Rainstorm is committed to its clients’ developing projects from initial site meetings, project scoping, product development and operations delivery through to corporate reporting, commissioning and maintenance stages. Rainstorm has grown with the industry from being an earlier pioneer of dust control product development in Australia to being a world-wide industry leader building specialty application equipment and products which optimise safety and dust environmental standards for clients around the globe. 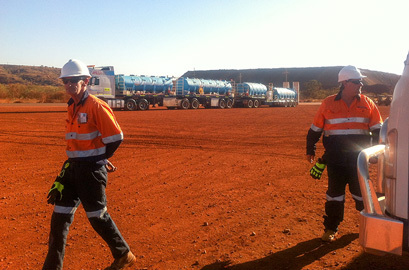 As industry specialists with onsite experience the product range and services extend through all areas of dust mitigation in mining and civil projects. Data validation on the best products and practices enable the client to evaluate cost and benefits while making environmental improvements. Rainstorm value each and every client, large and small, and have decades of case histories and experience to bring to the table. Our services include civil works in Mining, Government, Agriculture, Military, and Oil & Gas projects. With our head office in Perth, WA and with manufacturing and service yards in Karratha, WA and Lara, Victoria, we are able to service the whole country. Rainstorm is a known brand all over the world with main international presence in Asia, South America, and India. Mason Trouchet has 30 years’ experience in the development of soil stablisation and dust control technology and services in both Australia and the world. 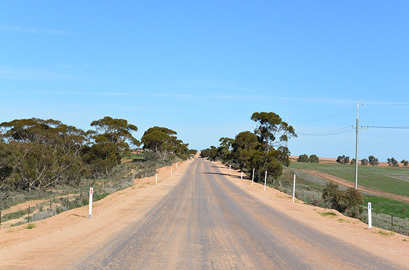 Originally involved with a major brick manufacturing business, Mason specialised in clay materials, and has continued commercialising soil control technologies, with entry to the mining sector with major Haul Road dust control trials in 1988. Mason is part of the product development team for Rainstorm, and is involved in business development and dust control services and procurement technology transfer in international markets. 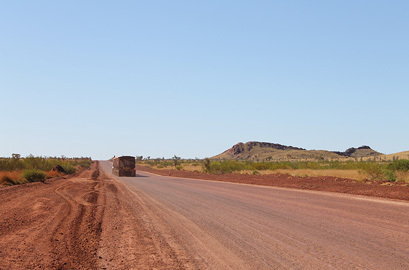 Mason is a firm believer in effective dust control treatments to conserve water and improve health and safety measures, especially for large scale mining applications. Recent advancements in dust monitoring and modeling are transforming clients’ ability to monitor effective control measures and develop cost benefit analyses. Working on large mining operations around Australia, Mason carries a wealth of knowledge in sustainable dust control from pit to port. With more than 30 years of experience in and around the mining industry, Julian has been working on numerous mines & quarries in Australia and overseas and has been involved in the transport industry as well. This puts him in a unique position to pinpoint & understand dust problems and the implications at different areas from pit to port. He has a wide range of operational experience in machinery ranging from tiny Dingo’s to 300 tonne excavators and D11 sized dozers, trucks, semi-trailers, road trains and most things in between. Julian knows the size of the dust problem these machines can cause and the resulting cost impact dust can have. Julian has formulated many solutions without negatively impacting the production of these machines. Julian has a good grasp on what’s what in most areas of dust control, roads and movement of dirt and ore. He looks after Australia and India with frequent travels around both countries. Proper, prior preparation and ongoing follow up is critical in any dust control process. To Julian its not just “a sale” it’s an ongoing relationship.